The actors were ready. The stage was set. Everyone—from the models to the fashion press—played their part with aplomb. 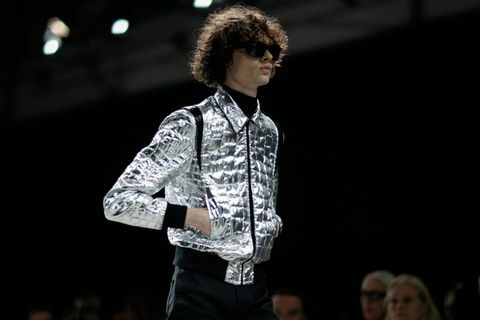 Last Friday, the Hedi Slimane show returned for its third season. While Slimane’s third time around might have been panned by the fashion press, calling Celine SS19 stale both misses and makes the point. Compared with most of the fashion world, Slimane makes clothes people actually pay money to wear. Make every “one trick pony” joke you want—Slimane, Celine, and LVMH will be laughing all the way to the bank. After all, Slimane’s done this before. First, let’s return to that critical press. 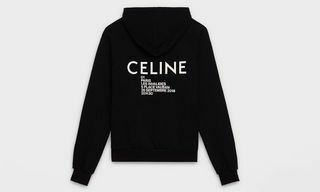 Reviews of Celine SS19 crystallized around three threads. The new collection: a) disrespected the house’s legacy; because b) Slimane was being Slimane; and anyways, c) what business does this guy have at a brand best known for womenswear? In any show review, words that caustic are as close as the fashion press gets to an assassination. 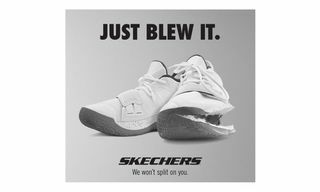 Now consider that it was Slimane’s debut. Once upon a time, buyers and high society alike would have read Horyn’s words as gospel, their message a winking “don’t you dare.” Instead, Slimane (whose designs “lacked a new fashion spirit” because they were similar to his earlier work at Dior Homme) would go on to make Saint Laurent one of the world’s hottest luxury brands. Even after his departure, it was still “Kering’s big money-maker,” growing year-on-year sales by more than 25 percent just drafting off the legacy of its departed lead. The list goes on. 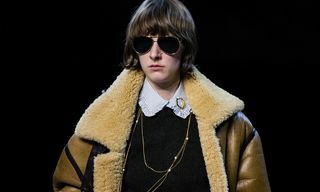 In aggregate, the fashion press attacked the Hedi Slimane brand: the stubborn, idiosyncratic grunge-meets-formal style best meme-ified as “the Saint Laurent aesthetic.” Tellingly, few critiques of Celine SS19 went after the “c-l-o-t-h-e-s” themselves — perhaps because, for better or worse, there was so little to write about. Tailoring for men. Glamor for women. Filter through a ’70s rock club and paint it black. 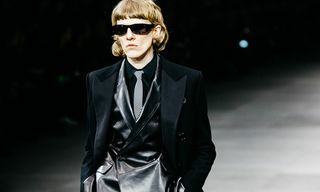 It was Slimane’s tried-and-true look, sent from Dior by way of Rive Gauche: leather jackets, biker boots, neutrals, slim fits, the occasional metallic detail. For the Paris of the post-Vetements era, everything was… boring. 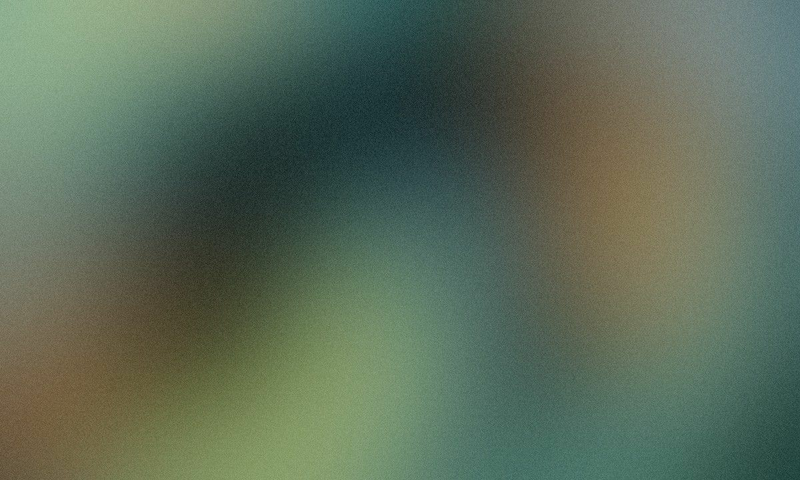 But zoom out. Or better yet, look around. Just like in 2012, the garments lacked “a spirit” of “something new” because what Slimane presented were interpretations. Fresh interpretations. New interpretations. Yet, at their core, interpretations of what the world (not just the fashion world) actually wears. Not every piece fits this category, but arguably, Slimane slants his collections toward reality — in cynical terms, commercialism; in positive ones, democracy — more than his contemporaries. The target luxury customer doesn’t look anything like a #streetsnap. Someone who can reliably afford to pay full price for garments (not resell, not sample sale price, but MSRP) is older, wealthier, and more conservative in habit. They’re not rappers being given clothes by their stylists. They’re not editors snapping product in showrooms. They’re bankers, architects, and software engineers who appreciate “the finer things” — staple pieces like tees and sneakers that let them associate with status brands in a way they’re already comfortable with because, by golly, I have a reputation to uphold. 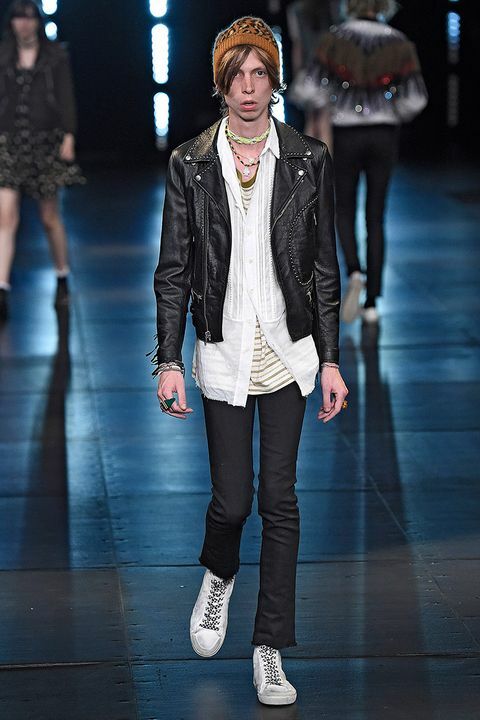 These pieces also, as is the case with Saint Laurent biker jackets, tend to be unisex. For major luxury brands, this is true no matter the current creative direction. Runway shows and big campaigns help “build the dream.” Cheaper, more wearable product actually sells it. Even Gucci — whose Alessandro Michele-led maximalism has been so revered for, well, breaking away from the Saint Laurent aesthetic — does its volume sales in white low-tops and logo wear. Gucci did approximately $7 billion in sales in 2017. Thirteen percent of that revenue came from ready-to-wear. Meeting people where they are is how you build a business. Putting out products people want is how brands are established. Often those products are what enable a business to burn millions on fashion shows. Often they’re the same ones critics at the shows decry as tacky. Therein lies the charm of Hedi Slimane. LVMH knew what it was doing when it brought the “one-trick pony” back from stud: applying someone with a history of success in distinct, upscale basics to a brand whose long-time designer wanted out. With Slimane at the helm, LVMH has filled the vacuum left by Phoebe Philo’s departure with a designer who can both build and sell the dream with the same pieces. Celine knows what it’s doing now, too: getting its house in order for that stubborn, disconnected Hedi Slimane brand to create a merchandise empire across fragrances, handbags, and other high-margin verticals as the clothes take hold. It was even announced that pieces from Celine Men will be unisex in cut, a move you can bet helps with production planning for all those expensive leather jackets. Ducks are being put in a row so Celine (sans accent) can potentially become a category-defining mega-brand the way we see Balenciaga and Gucci today. With Virgil Abloh taking streetwear to Louis Vuitton and Kim Jones getting KAWS to help out with his Dior show, LVMH would have three cards in its deck against rival Kering’s two. In fact, in this moment of “DIY everything” meets dad-shoe-of-the-month, Celine as a major player producing “exactly as you’d imagine” under Slimane may ironically be a breath of fresh air. If there’s one thing none of Gucci, Vuitton, nor Balenciaga are producing, it’s pencil suits and slim moto jackets. Wouldn’t it be funny to watch the 20-year fashion pendulum start to swing with Slimane’s mass powering it? Can you imagine the breathless op-eds written 10 years from now about how Slimane — whose stale, boring clothes were so tragically panned — “saw this all coming,” when in reality, he was just making clothes that luxury customers actually wanted to wear? What if the man Harvard Business Review called “the Steve Jobs of fashion” did it again? Past performance doesn’t guarantee future success. The future is uncertain, and for a third time out, this showing was far from perfect. Could more non-white models have been cast for the show? Unquestionably. Should they have? That’s between you and LVMH. One thing we can agree on is that this was only a start, the season premiere of one of fashion’s most successful dramas. Maybe, just maybe, we should wait and see how this one plays out. For another perspective on Hedi Slimane’s Celine debut, read Eugene Rabkin’s take on How Hedi Slimane Ruined Phoebe Philo’s Legacy.